Airlines flying Boeing 787 Dreamliner jets powered by one model of Rolls-Royce engines face substantial disruption after an FAA safety ruling. The planes are restricted from flying more than 140 minutes from a diversionary airport, down from 330 minutes. Airlines flying Boeing 787 Dreamliner jets powered by a particular model of Rolls-Royce engines face substantial disruption after the Federal Aviation Administration (FAA) placed restrictions on how far from an airport the airplanes can fly. The FAA directive, effective Tuesday, restricts those planes from operating more than 140 minutes from an airport they can divert to in an emergency, down from 330 minutes. Rolls says the measure affects 383 engines currently in service. Boeing says that about 168 Dreamliners, a quarter of the worldwide fleet, have at least one of the affected engine models. The FAA order, posted online Monday, comes after the European Aviation Safety Agency (EASA) last week ordered additional maintenance checks on Rolls-Royce Trent 1000 “package C” engines after it was found that durability issues with blades in the engine core were worse than first thought. 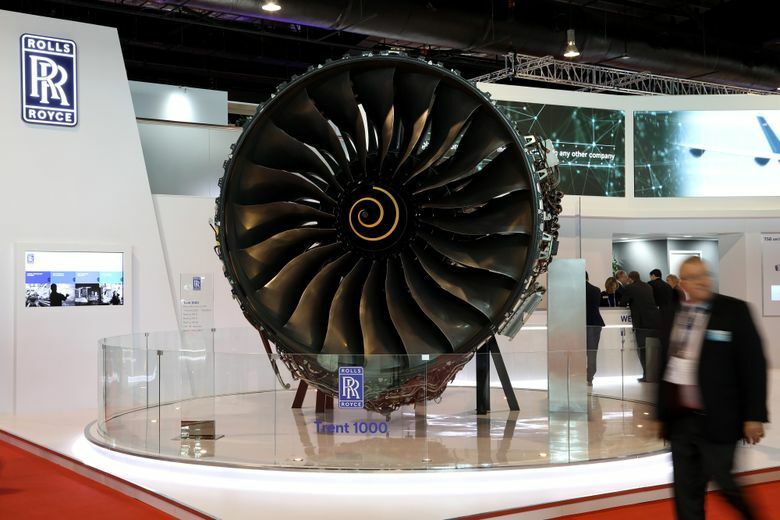 The FAA imposed the restrictions because blades in the intermediate pressure compressor of the Trent 1000s have been found to vibrate when the engine is operating at high levels of thrust under certain temperature and altitude conditions. The blade vibration can cause metal-fatigue damage and engine failure. Boeing spokesman Paul Bergman said the FAA and EASA directives mandate action that Boeing and Rolls-Royce previously recommended to the fleet, including additional inspections of the blades. A Rolls-Royce spokesperson, via email, said the engine-maker is still developing plans for inspections with each affected airline. Each inspection takes a number of hours to complete. If an issue is identified with a part, the engine must be removed and taken to a Rolls overhaul facility. The time each engine spends in overhaul can range from 10 to 40 days. The logistics of transporting the engines adds time. To cope with the immediate problem, Rolls is increasing capacity in its maintenance bases and component production facilities around the world. Last month, Rolls reported an accounting charge of $315 million to cover ongoing repairs to the affected engines. Ahead of the FAA and EASA mandates, Rolls Chief Executive Warren East said Friday that cost will now rise. For a permanent fix, Rolls is redesigning the intermediate pressure-compressor parts. “Following validation and certification, new parts will be available for engines in maintenance early next year,” Rolls said. Rolls said the latest version of the engine, the Trent 1000 TEN that’s now being installed by Boeing on new 787s, has built-in improvements and is not affected by the FAA directive. In the meantime, airline operations will continue to be disrupted. Airlines will have to re-route planes on long-distance flights over the oceans and lease replacement jets for grounded 787s to maintain their schedules. Among the airlines most heavily hit are Japan’s All Nippon Airways, British Airways, Air New Zealand, Norwegian Air and Virgin Atlantic. Only about 14 planes operated by U.S. airlines are affected. Virgin Atlantic spokeswoman Leslie Byxbee said that of the 16 Boeing 787s in the airline’s fleet, 14 are affected by the engine issue. She added that four of those 787s are currently grounded while the airline waits for replacement engines. Byxbee said that because Virgin has leased four Airbus A330-200 aircraft to fill the schedule gap, it doesn’t anticipate any schedule disruption at present. Bloomerg News contributed to this report.